You have a Master's degree in Journalism and two Bachelors in Information Sciences, Political Science and Sociology. What has led you to choose your profession? An innate curiosity led me to be a journalist: know people, who we are, how we live and how we interact. I was lucky to have an extraordinary Professor: the journalist Miguel Ángel Bastenier, an expert in international relations of the Newspaper 'El País'. He taught me that journalism rather than a profession is a craft. The study and reflection give you keys to understand and analyze better the environment. You should never stop to read, see, talk, travel. You get formed over a lifetime. After having worked for more than 16 years in press for renowned newspapers such as El Periódico de Catalunya, El País, La Vanguardia, and at prestigious institutions like MACBA and la Caixa, why has decided to go alone and set up your own company? We are people, first and foremost. Working as autonomous, in this my vital cycle, gives me the freedom that I need to match in a better way my profession with my motherhood. In the next picture you can see the son of Inés and her nephews in a workshop that she made for them at home, after learn it at the Brooklyn Museum (NY). Ines, can you share with our readers how have been the experience to be a teacher at this MA in Arts and Cultural Management of UIC Barcelona? 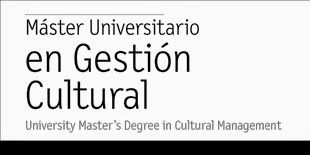 This an excellent program, among the best in the world in cultural management. My students learn at the time that I do. The exchange between generations and different cultures is vital in all communicative process, and more in these times of revolution in communications. When I studied, there were no social networks, but my students have grown up with them. This contrast is very enriching, for all and sundry. The international factor is also very valuable: in this masters, there are people of very different backgrounds. Somehow, it establishes a dialogue between the five continents, and helps you to understand the cultural reality of all regions. The students of this Master have received a solid previous formation from different paths: there are artists from different fields, communicators, lawyers, engineers, economists, designers... and this exchange is very fruitful for the classroom. What is the importance of mastery the art of communication for a cultural Manager? What are the requirements and skills needed to be a good communicator of culture? The act of communication is rooted in everyday life. Knowing what we want, how to ask, who ask for it and when is the best time to ask any question, is essential for the cultural Manager. The communication covers different fields: journalism, marketing, public relations, publications, campaigns and public programs. It is essential to know how to give a message in a clear, simple and attractive way, choosing the most appropriate medium in every moment. For example, a press conference is not always required. Finally, what advice can you give to the students of the Master in Cultural management of UIC Barcelona for their future as professional? I would tell them that they have to believe in themselves, walk with firmness, know how to collaborate with others and look at each obstacle or mistake as an opportunity to master better this territory that we called life.